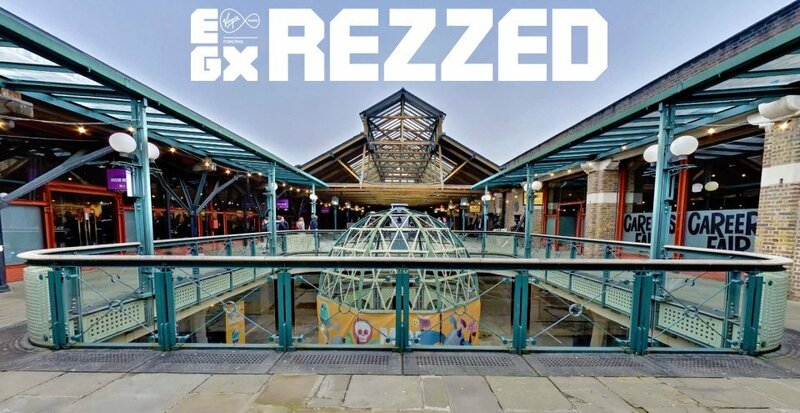 For the sixth year in a row, a warehouse in Wapping, London recently played host to a crowd of cosplayers, developers, gaming enthusiasts and *ahem* journalists, all uniting under one very high roof for EGX Rezzed. The event, held over three days, may well be the younger and smaller brother of EGX (previously Eurogamer Expo), normally held later in the year in the UK, but there were still well over 150 games to try and thousands of eager members of the public very willing to play them. 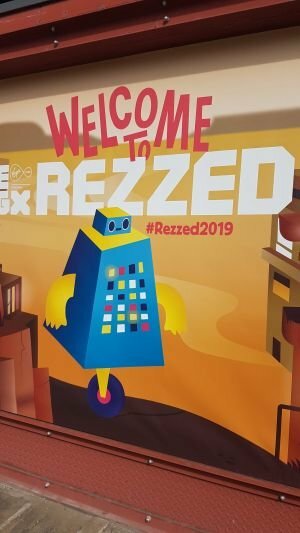 Rezzed has always had a strong focus on independent titles, and it was apparent from the two huge rooms displaying only indie games, plus several smaller areas exhibiting the work of developers such as Tim Schafer’s Double Fine, that this year was no different. My first journey into the catacombs of the Tobacco Dock was to visit The Leftfield Collection, a room which showcases the more eclectic side of the event. Here a hilarious party game where aliens have copied the Olympic Games but gotten everything wrong (Drink More Glurp) was joined by a beautifully black and white illustrated beat-making project (Haunted Garage). I was eager to try out The Case of the Invisible Wizard, the second installment of Grace Bruxner’s delightfully whimsical cartoon adventure series Frog Detective, where you play – what else? – a detective who’s a frog. Much like its predecessor, the sequel has charming absurdity in abundance, including a singing rhino, so what’s not to love? The amphibious investigator should be coming to a Windows or Mac PC near you later this year, along with his adorably weird friends. Everyone and his dog at Rezzed seemed to be queuing up to play Untitled Goose Game in the Nintendo Switch area, and who was I to stand out from the crowd? Another for fans of titles that explain themselves, you play a naughty goose whose sole aim is to piss off a farmer as creatively as possible – whether by stealing his thermos, turning on the hosepipe or chucking his rake into the lake. Developer House House has really put some time into getting the comical waddle of its pastel-shaded goose just right, and few could resist the chance to sneak around the poor farmer’s allotment, causing general mayhem whilst honking brazenly (yes, there’s a button specifically assigned just for honking). Get ready for all kinds of fowl play (sorry) when the game comes to PC and Switch later this year. 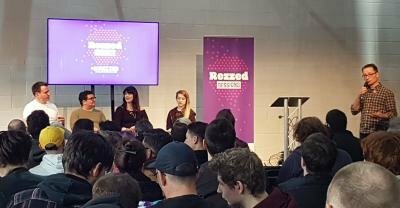 Not a year goes by when someone somewhere doesn’t hold another talk on the future of adventure games, so it was good of Rezzed to claim this year’s allocated spot nice and early. Wadjet Eye’s Dave Gilbert, Dan Marshall from Size Five Games (Time Gentleman, Please! ), and Jessica Saunders from Salix Games (Dance of Death: Du Lac & Fey) reflected on their own experiences playing and making adventure games in an increasingly broad market. Whilst all agreed that adventures weren’t going away any time soon, each had something to say about the issues facing the genre in 2019, particularly the trade-off between moving on from traditional point-and-click fare with a smaller budget to bigger yet costlier productions involving voice acting. Kickstarter – still used by many smaller indie developers especially for adventure games – was discussed at length by the panel, with Jessica passionately declaring that “Kickstarter is dead for games”, down to how few people truly understand the cost of making them. But there was positivity to the discussion about how so many indie studios, particularly Wadjet Eye and their latest title Unavowed, had defied naysayers about the adventure game market with its huge success, and if developers kept looking to innovate rather than just replicate the familiar conventions of old, how bright the future could be. “BioShock” must be a word that developers Storm in a Teacup hear a lot when showcasing their first-person 3D horror adventure set aboard a seemingly abandoned ship shrouded in mystery. 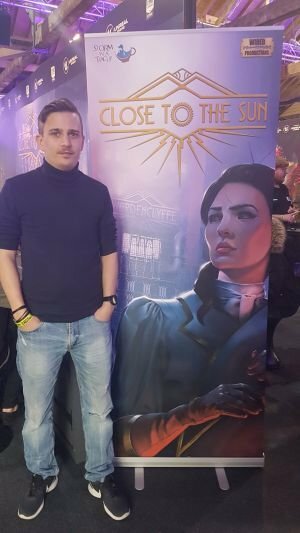 However, when I caught up with Game Designer Joel Hakalax at Rezzed, he told me the team high five whenever the “B-word” is dropped – because what small developer wouldn’t want their game to be compared to such a highly regarded AAA title, even if it does belong to an entirely different genre? In Close to the Sun, you play journalist Rose Archer in a wonderfully realised alternate world, where, in Joel’s own words, “inventor Nikola Tesla didn’t get screwed over by Thomas Edison, and all of his ambitions came to fruition.” This, in practice, means that Tesla becomes the Elon Musk of his time and builds a ship called the Helios, which attracts scientists from all over the world to experiment and collaborate together, free from interference. Inevitably something goes very wrong on board, and the story starts with Rose answering the call from her scientist sister to come and visit her on the Helios. Upon her arrival, however, she finds all signs of life worryingly absent. Whilst there are definite jump scares and “live or die” survival moments encountered, Hakalax told me these horror elements will be more to keep the player on their toes – you won’t be using weapons or any form of magic to defend yourself. The demo I played highlighted the eerie atmosphere as you explore the deserted Helios, from its creepy sound effects of doors suddenly closing to the beautiful faded Art Deco design of the ship’s interiors. Close to the Sun will be released on May 2nd of this year exclusively on the Epic Games Store, and then on consoles in autumn and possibly also Steam. Bring plenty of cushions to hide behind. 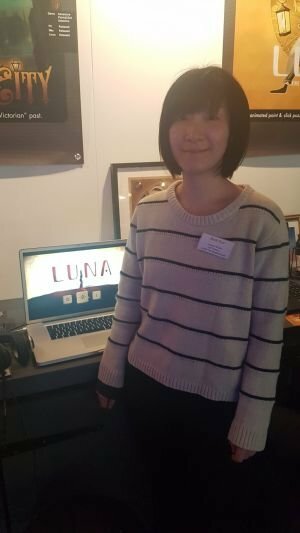 I first got a glimpse of LUNA: The Shadow Dust, the quirky and really quite gorgeous looking hand-animated puzzle adventure from Lantern Studio, at the slightly smaller AdventureX games convention at the British Library in November. I can happily report that its charming silent narrative following a boy and a cute squishy cat thing (really the best description for it) as they bop along solving puzzles based around the theme of light and darkness is still as enjoyable and engaging as back then. Beidi Guo, the game’s Art Director who chatted with me at Rezzed, cites Japanese film legend Studio Ghibli and games like Amanita Design’s Samorost and Machinarium as her influences for the game’s style – both very apparent in the demo I played. You can switch between both nameless boy and cat thing to solve the intricate puzzles throughout the game, and Guo told me that whilst you’ll only be able to play as the two main characters throughout the game, one of them won’t take their true form until later on (my money’s on squishy cat thing). Amazingly, but perhaps unsurprisingly for a team of just four developers, I also discovered that LUNA doesn’t have a dedicated puzzle designer – everyone on the team chipped in and worked on puzzles according to their area of expertise (their Programmer Wang Guang worked on more logic-based puzzles, for example, whilst their composer Wang Quian designed any music-related challenges). Speaking of which, special mention has to go to the evocative score composed by Quian, written with film scenes in mind rather than your average game, meaning that each puzzle has its own leitmotif variation on LUNA’s grander musical theme. The team are planning to release LUNA: The Shadow Dust in summer this year on Windows, Mac and Linux.